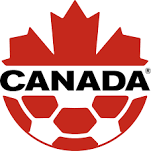 Canada Soccer has recently made a policy change regarding severe weather events. This policy keeps Canada Soccer in step with recommendations from Environment Canada. Note that this policy is effective immediately and Ontario Soccer asks that all match officials should be educated on this policy going forward. Please distribute to your club and match official community, as well as update any materials on your website to reflect the new policy information. Visit OntarioSoccer.net to find the new Canada Soccer policy. If you have any further questions, please contact Nicky Pearson, Manager of Match Official Development.